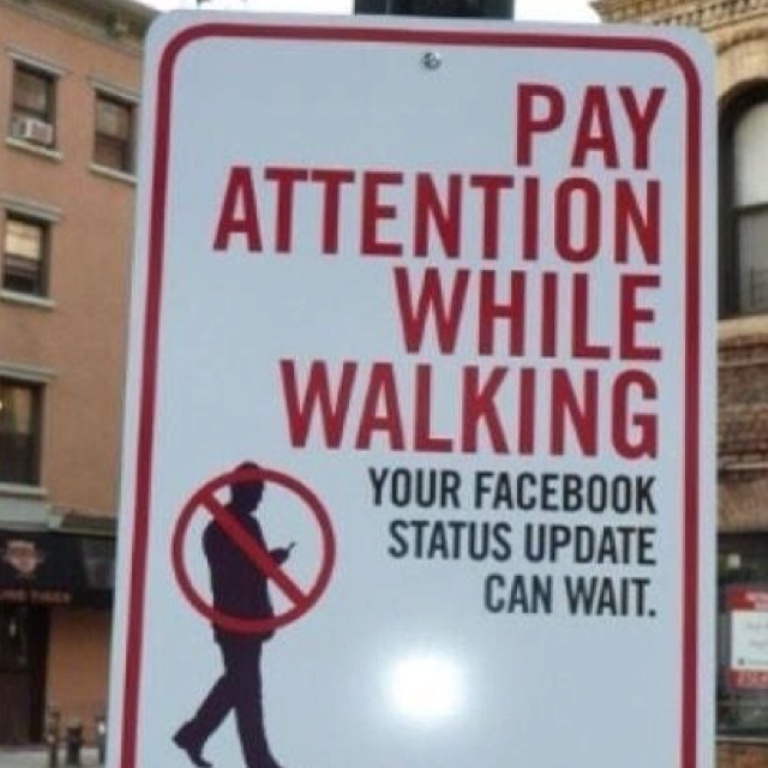 A sign warning Facebook users to pay attention while walking through a crowded downtown area. While useful communication media, uncontrolled use can manifest as addiction-like symptoms. You could be. Automatic and uncontrolled use of technologies such as social media in a manner resembling the addictive use of substances is increasingly recognized as a problem for millions of Americans, including many young adults. Mihaylo ISDS Professor Ofir Turel discusses the roots of such behaviors from a neuroscience perspective. Social networks such as Facebook have assisted individuals and enterprises in building and enriching relationships locally and globally. Yet these tools have also been associated with behavior similar to that observed with drug addicts for some users. Research studies from the United States and other developed countries suggest that between 0.7% and 11% of the population demonstrate technology addiction with higher figures likely among adolescents and young adults. Many more individuals present less severe addiction-like symptoms. What are the neurological roots of these technology addictions? Are they similar to the issues observed in traditional addictions, such as substance abuse and gambling? 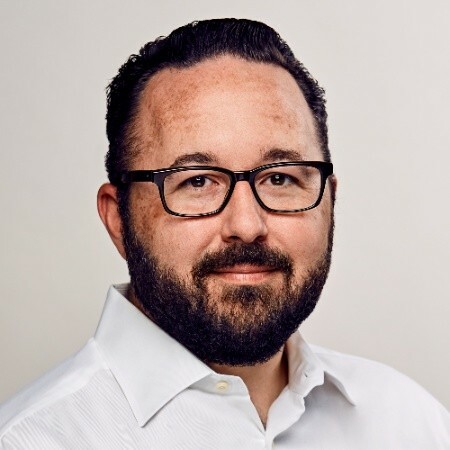 Mihaylo ISDS Professor Ofir Turel and a team from the University of Southern California (USC) led by Antoine Bechara are among the first to examine Facebook addiction from a neurological perspective in a coauthored study of the neural activities of 20 users ages 18 to 23. Two key brain systems typically involved in addictions – the impulsive amygdala-striatal system and the inhibitory prefrontal cortex brain system – were examined. The KPop band Brown Eyed Girls perform in Hanoi, Vietnam. The music genre has developed a devoted following throughout Asia and in such diverse regions as Europe and the Americas. Image from Wikimedia Commons. Mihaylo Marketing Professor Steven Chen researches product innovation and transnational popular culture. He discusses his new study on the global spread of Korean popular music. How do marketers export a product to overseas consumers that may not understand the same language? In today’s globalized economy, this is a question increasingly asked of today’s marketing professionals. While transnational enterprises have exported largely uniform products and services worldwide for decades, a newer trend of differentiating products to appeal to diverse global consumers has emerged. This has permitted concepts developed in not only the traditional industrialized countries of North America and Europe but also emerging economies in Asia, Latin America and elsewhere to develop a global following. What Does This Have to Do With KPop? Mihaylo Marketing Professor Steven Chen examined the strategies used to disseminate products by studying the global spread of Korean popular music, known as KPop. Named South Korea’s greatest export by Time magazine in 2012, the genre is popular throughout Asia, but also in Latin America, the United States and Western Europe. His study, in the journal International Marketing Review, involved a content analysis of 314 news articles on the allkpop.com website. Mihaylo Dean Anil Puri, members and supporters of the Executive Council and CSU Fullerton alumni at Bootlegger’s Brewery in Fullerton for the recent 35/Thirty-Five Holiday Toast, which benefited Orange County nonprofit Working Wardrobes. Mihaylo Executive Council members and alumni donated business clothing to charity during their holiday gathering at alumni-owned Bootlegger’s Brewery. Orange County may have the reputation for being one of the wealthiest counties in the United States, yet thousands of residents struggle with unemployment or poor job prospects. For many, a professional wardrobe is their ticket to getting back on their feet. At the annual 35/Thirty-Five Holiday Toast, Mihaylo alumni, staff and supporters donated more than three racks of business clothing and accessories to Working Wardrobes, a Costa Mesa-based nonprofit providing workforce readiness assistance to disadvantaged youth, veterans and professional men and women who have fallen on hard times. 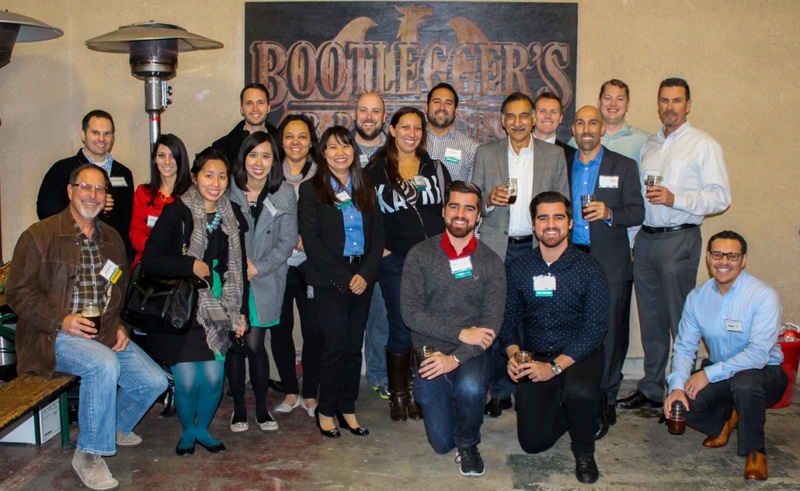 The event, hosted by the Executive Council’s young professional membership, 35/Thirty-Five, was held at Bootlegger’s Brewery, founded by Mihaylo entrepreneurship alumnus Aaron Barkenhagen ’07. The brewery and Fullerton pizza restaurant Two Saucy Broads supplemented part of the donation expenses. “It was an honor to celebrate the holidays with such a devoted group of Titan alumni who understand the importance of not only giving back to their alma mater but also helping the community at large,” Mihaylo marketing alumnus James Fratzke ’14 says. He and his twin brother, Ryan ’14 (marketing) are national account managers for digital marketing provider Brandify and are the newest 35/Thirty-Five members. Membership in 35/Thirty-Five provides networking and career development opportunities for young professionals while supporting the Mihaylo Tutoring Center, Mihaylo Career Services and student scholarships. For more on Executive Council events and membership, contact Development and Alumni Relations Associate Amanda Leon at amleon@fullerton.edu. 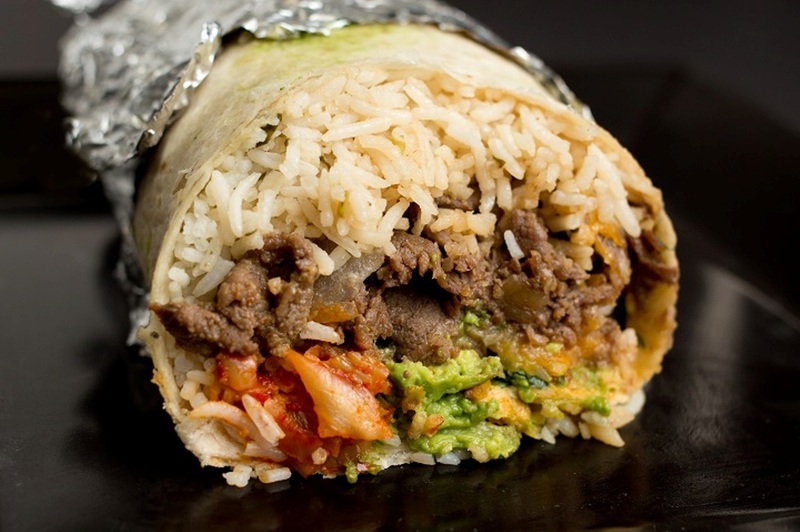 A Korean-Mexican fusion burrito at Seoulmate, which recently opened a new location in Fullerton. The restaurants were founded by three CSU Fullerton alumni, including Mihaylo marketing alumnus Sean Butler ’10. From Mexican food to cupcakes, Mihaylo alumni have left their mark on the Southland by establishing restaurants that have been the delight of locals and visitors alike, including these seven alumni-owned establishments in Los Angeles and Orange counties. Mihaylo alumni start innovative technological companies, balance the budgets of leading firms and achieve top corporate positions at a diverse set of organizations. But some have left their mark on Southern California through their culinary creations. Following are seven alumni-owned restaurants in the region. The Café Hidalgo story goes back to 1922, when the Villa del Sol Hotel, one of the city’s early landmarks, was built. Today, the building has several restaurants and boutiques, including the Mexican café founded and owned by Mihaylo MBA alumnus and author Michael Oates ’92. The café features courtyard and patio dining, wine tasting, gourmet cuisine to go and local catering. Mihaylo alumna Akemi Lee ’10 (finance) and fellow Titan Hanayo Martin ’11 (advertising) are the cofounders of Downtown Fullerton’s Hapa Cupcakes, which offers gourmet, alcohol-infused, vegan and gluten-free cupcakes, as well as cakes for weddings and other events. Now available online, the 2015 edition of Mihaylo Magazine showcases faculty research, student activities, alumni achievements and reports on the Centers of Excellence and business network that are on the forefront of innovation and progress. The 2015 edition of Mihaylo Magazine, the annual business college periodical, provides a snapshot of a stellar year for CSU Fullerton’s award-winning business school. 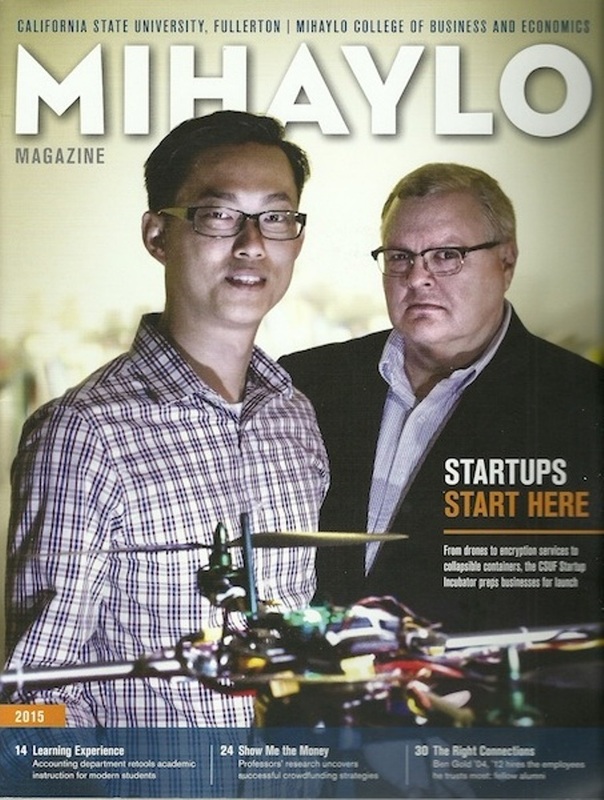 The magazine’s cover story examines the CSUF Startup Incubator, which debuted in January under the direction of Mihaylo’s Center for Entrepreneurship and provides resources, guidance and practical support for innovative startup ideas. One such new business is Chopit Drones, an enterprise providing aerial photography and video services cofounded by Mihaylo graduate student John Tsui ’17. Highlighting the work the college does off campus, Mihaylo’s Center for Economic Education is preparing the next generation of financially-literate adults through programs for local K-12 students in partnership with U.S. Bank, including the after-school Financial Genius program, the college savings individual development account (IDA) program and summer Financial Fitness Camps. 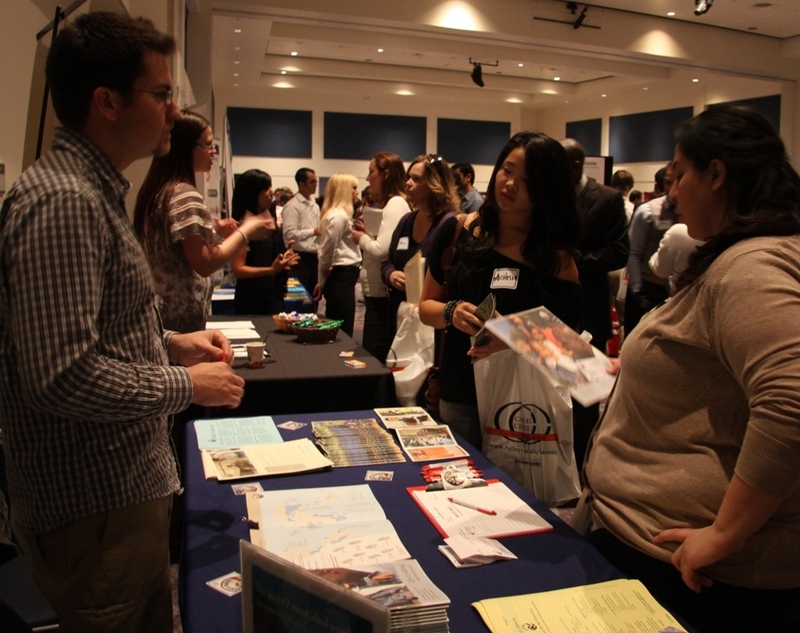 Students learn about employment opportunities at a career fair event. Mihaylo Economics Assistant Professor Nick Huntington-Klein suggests that students research wage potential when selecting their fields of study. How well will your degree program pay off in the professional world? Mihaylo Economics Assistant Professor Nick Huntington-Klein has coauthored a study examining the relationship between college majors and wages. A university education has many benefits, including personal development, the opportunity to meet people of diverse backgrounds and cultures, and the chance to live your purpose. But for many college freshmen and prospective graduate students, the foremost goal in their education is to have a lucrative and rewarding post-education career. According to the Bureau of Labor Statistics (BLS), in 2014, the average weekly wage for workers with a bachelor’s degree was $1,101, while the average wage for those with advanced degrees was $1,386, compared to $668 for those with only a high school education. But not all degree programs are equal in their ability to boost student income potential. Alumnus and scholarship donor Paul Lehman (seated) poses with students and Mihaylo College finance and student affairs faculty. Mihaylo accounting alumnus Paul Lehman ’69 visited campus recently and met with nine recipients of the scholarship he created. He discussed his investing career and shared his strategies. Mihaylo accounting alumnus Paul Lehman ’69 has made a lot of financial investments in his career, but he wanted to make a different type of investment in the next generation of professionals when he created the Paul Lehman Scholarship for students interested in investment-related careers. Lehman has come a long way in his personal journey from boyhood in rural Ohio to successful investor. The Mihaylo donor discussed his life’s journey, career, CSU Fullerton involvement and shared advice with recipients of his scholarship on Nov. 17. “I want to see the results of my investment in today’s Mihaylo business students,” he said. Dan Exley discussed the impact of big data on health care. Demand for analytical talent could be 50% to 60% greater than the projected supply by 2018, and health care analytics will likely power the next revolution in American health services and sciences, improving patient outcomes and ensuring accurate diagnoses. Dan Exley and Scott Raymond of Memorial Care discussed the impact of analytics in their six-hospital network at the recent Health Care Analytics Seminar. The advent of big data in the last decade has revolutionized industries across the economy. But perhaps no other field stands to gain as much from this transformation as health care. The accurate and accessible reporting, archiving and retrieval of data can assist practitioners in making prompt and accurate diagnoses, select the most effective medications and identify individual health risks. There is currently an estimated $300 billion annual potential value to U.S. health care big data and demand for analytical talent could be 50% to 60% greater than the projected supply by 2018. Cal State Fullerton alumni Breanna and Ivan Sewell are community leaders in Desert Hot Springs, California, where the couple operate a print shop. Mihaylo Management Alumna Breanna Sewell ’14 has founded TOP Shop – The Only Print Shop in Desert Hot Springs, Calif. 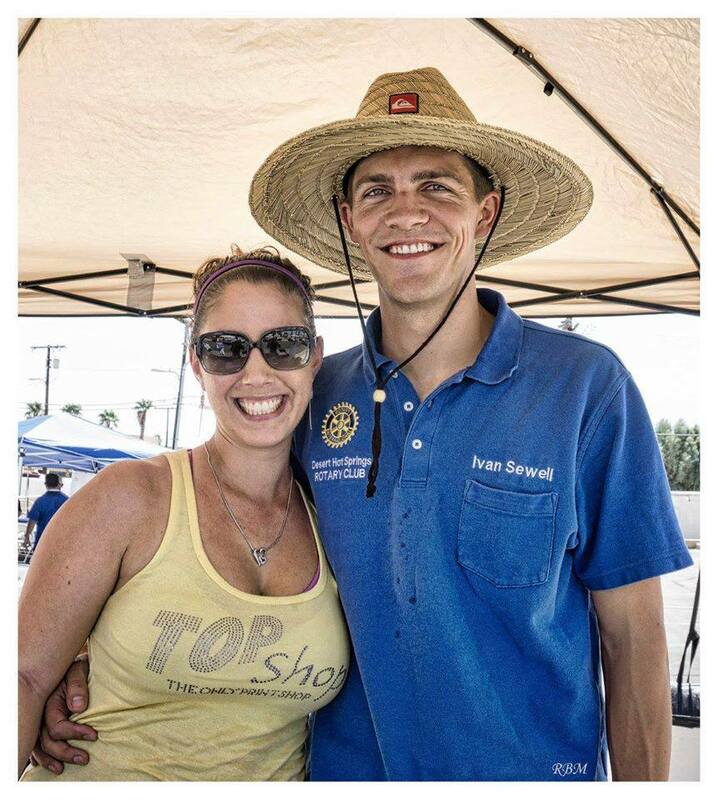 Active in a number of community organizations, Sewell was honored as the Desert Hot Springs Business Person of the Year in 2015 and her business was named 2015 Small Business of the Year. Sewell discusses her business, academic journey and community involvement. 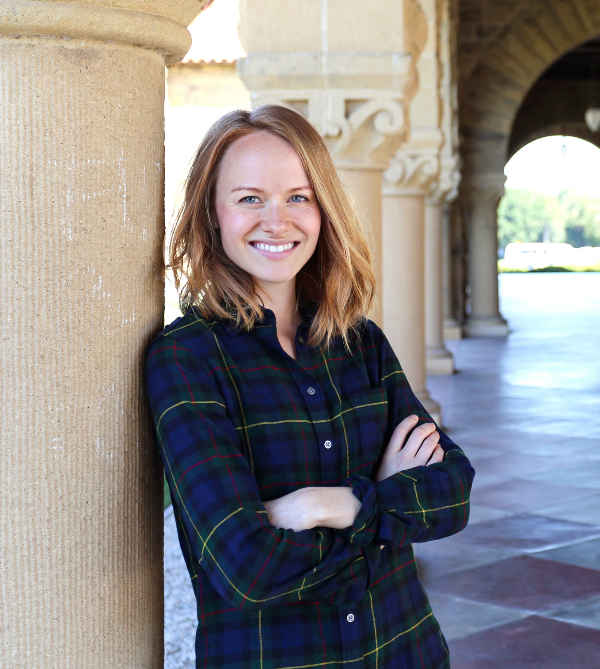 Mihaylo International Business alumna Taryn Moore ’11 graduated from Stanford University, one of the most prestigious institutions in the U.S., this summer, with an M.A. in international comparative education. Moore discusses her accomplishment, future plans and the importance of her previous Mihaylo education. Taryn Moore ’11 can boast of a number of major accomplishments. She graduated with a bachelor’s degree in international business and a concentration in Mandarin Chinese from Mihaylo College in May 2011. She has lived, worked and traveled abroad in China, gaining fluency in the Chinese language in the process. This summer, she added an M.A. in international comparative education from Stanford University in Palo Alto, Calif., to her achievements.